It’s finally happened! 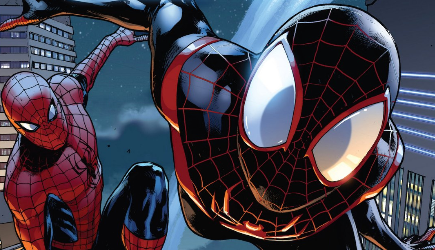 Late Monday, a press release revealed that Sony and the Disney-owned comic book giant, Marvel, came to an agreement on incorporating Spider-Man in an upcoming movie. Spider-Man’s appearance in Marvel has already been set before Sony’s next film on the web-slinger set for July 28, 2017. According to Buzzfeed, Andrew Garfield’s Spider-man will not be returning, which has raised a few hopes — especially considering the recent Amazing Spider-Man run that’s features every Spider-Man — that maybe a different version will enter the universe. High hopes are being placed on Miles Morales on twitter, where he’s currently trending, as well as Spidey. Personally, I would be stoked for a live-action version of Morales. He’s been an amazing character to follow since his run in Spider-Men. But what do you think?